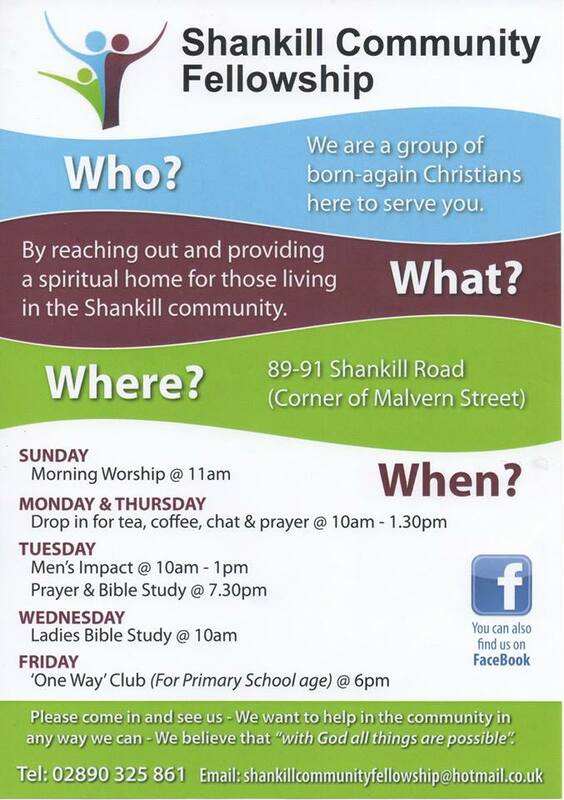 At Shankill Community Fellowship, the whole church comes together for our Sunday services, but it doesn’t stop there! Activities run through each week with something to suit pretty much everyone. We run periodically events throughout the year.